The Performance Portal platform integrates directly with objective lead tracking modalities (tracking phone numbers and coded online form submissions) that avoid the inaccuracies present with traditional “How did you hear about us?” lead sourcing. 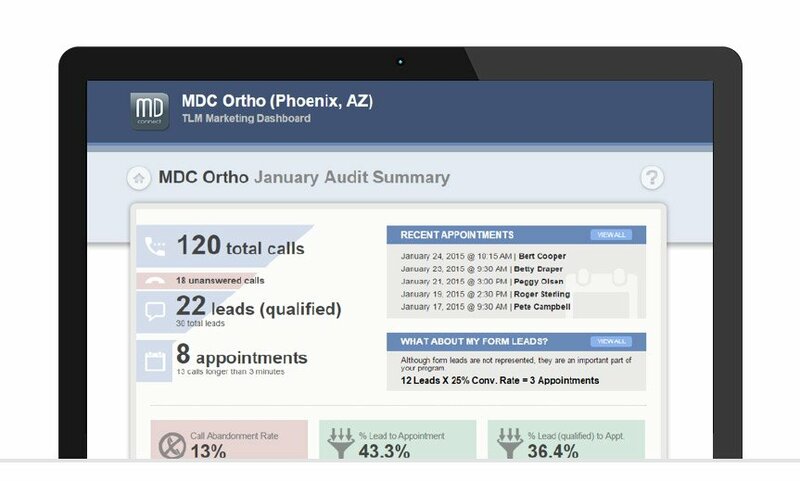 Phone auditing and lead scoring services allow identification of actual booked appointments. Beyond that, we can execute CRM integrations to track leads further downstream (to procedure and revenue). 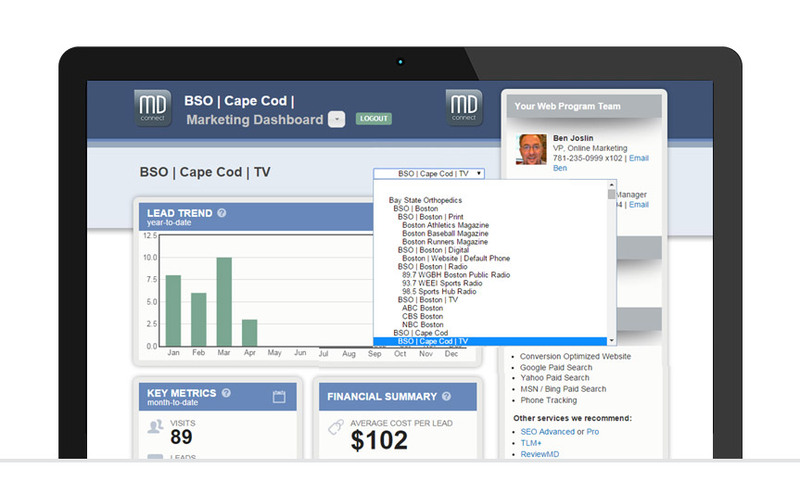 As a result, corporate management can easily see lead counts and ROI by media channel or location (or both). Individual location staff can listen to phone calls, export data, and easily quantify the impact from corporate programs. With HIPAA (and the recent HITECH) regulations, there is significantly increased liability for any Business Associate with access to Protected Healthcare Information (PHI). MD Connect has implemented sophisticated HIPAA compliance systems (both throughout the organization and directly in the Performance Portal™). If desired, we can provide corporate access that avoids access to individual PHI (and thus any associated liability), but can access aggregated performance results, while simultaneously providing individual locations with access to all their underlying details (so they can see details of specific leads and appointments).